And if you finished with washing and hanging your dark clothes, just head over to the sewing machine. Instead of wasting time with pins when sewing piping and the like, use mini clothes pins. This simple method beautifully displays your scarves. Sticking clothes pin on the inside of cabinet doors creates storage for rubber gloves and towels. A clothes pin can be great to secure good smelling pom poms (just add essential oils) to your car as air diffusers/fresheners. Don’t get your floss tangled! Clothes pins to the rescue! Clothes pins are functional and inexpensive toothbrush holders. To keep that parchment paper where it belongs. Use clothes pins. Use colorful clothespins to help organize daily chores. 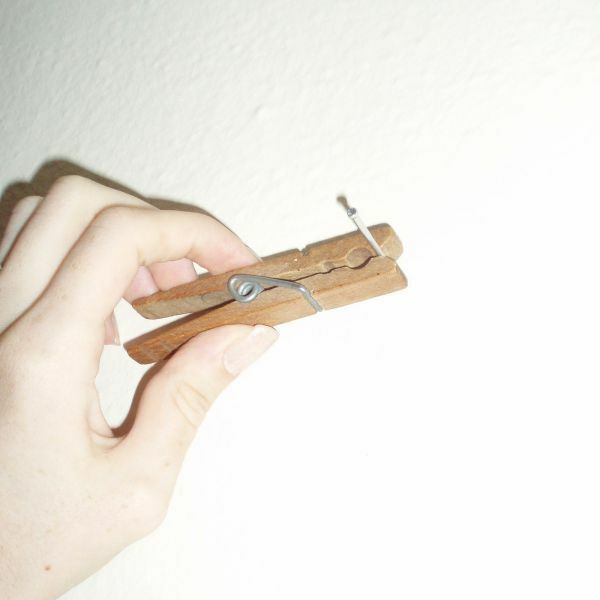 Use a clothes pin instead of fingers to hold a nail, so you don’t accidentally hit your fingers while hammering. Don’t forget to share these awesome tricks (and this page) with your friends!